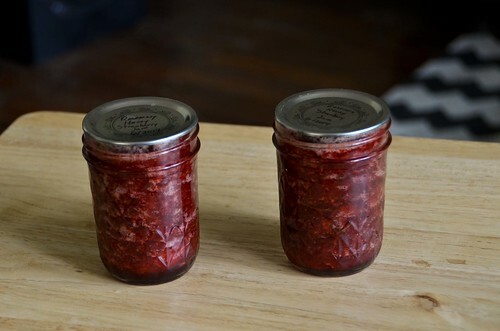 After the preserving workshop with Marisa McClellan and u-pick strawberries, I immediately went home and made some small batch Honey-sweetened strawberry jam from 'Preserving by the Pint'. 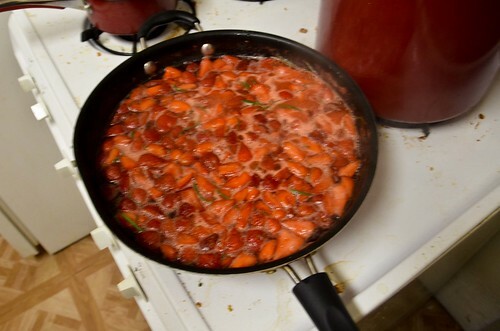 I didn't use quite enough rosemary (less than the recommended amount), so the rosemary flavor is a bit more subtle, but it allows the fresh strawberries to take more of center stage, which is good because the flavor profile continues to compete somewhat with the wildflower honey I used. 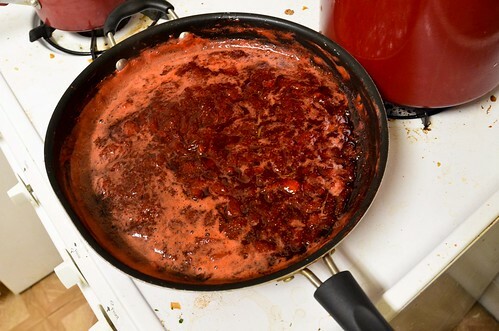 And it is amazing in a cup of Greek yogurt. Fantastic. 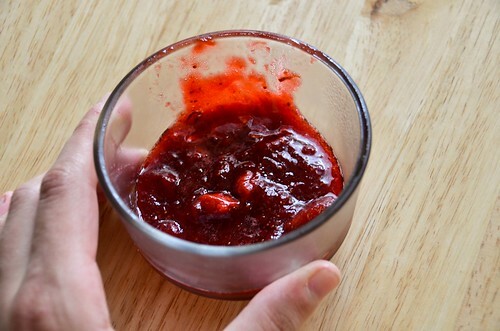 I must now flavor some fruit jam/sauce/compote with rosemary -- such a good idea.